That was my reaction when The Binky Box asked me to create themed sticker packs for their little cardboard playhouses. And so I was blessed with the cutest job ever; a dream brief to create a woodland house and a classic house. With woodland in mind I immediately saw autumn leaves swirling, acorns falling, clusters of bluebells and toadstools - perhaps a badger and a mole? And in thinking about the classic house theme, bay trees, an old-fashioned lamppost, a pair of red wellies and a window with pretty curtains sprang to mind. Working with Kaye and Katie from The Binky Box was a delight - they trusted my vision from the start and let me run with my ideas and get on with it. The only hurdle I faced was the realisation that I can't draw a squirrel. Not for toffee. Awkward. 'Just do a fox instead?' was their forgiving reply. Music to my ears! Excellent. 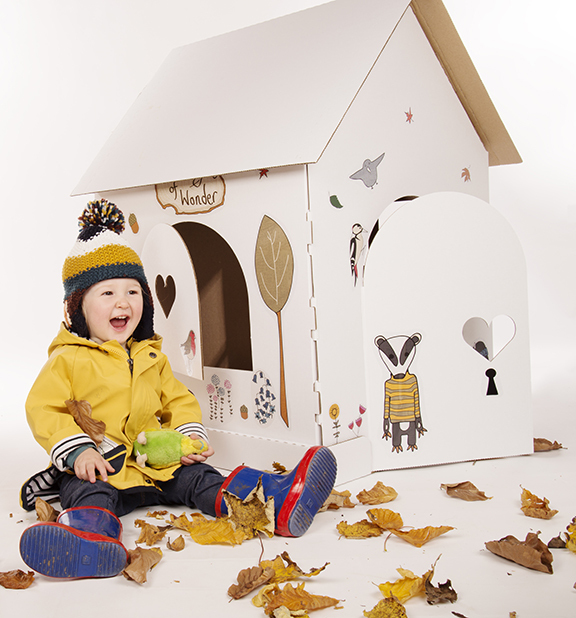 These cardboard play houses are so cool. 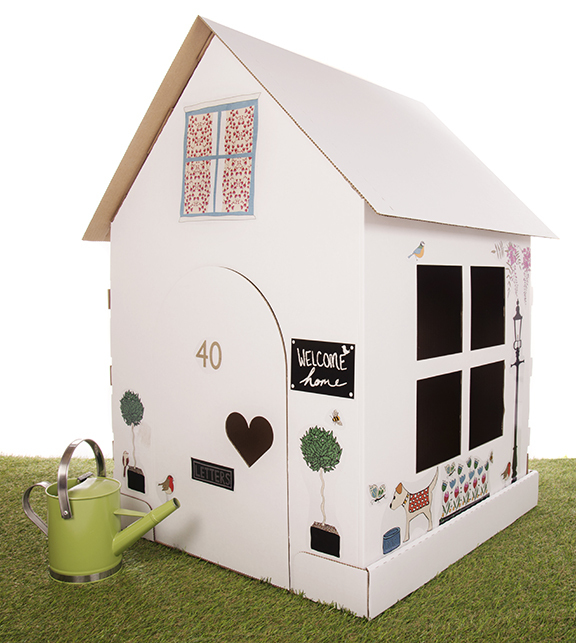 Created for wee ones they don't take up much room and they are fully recyclable. You can buy them on their own for children to draw on themselves or with the sticker packs.